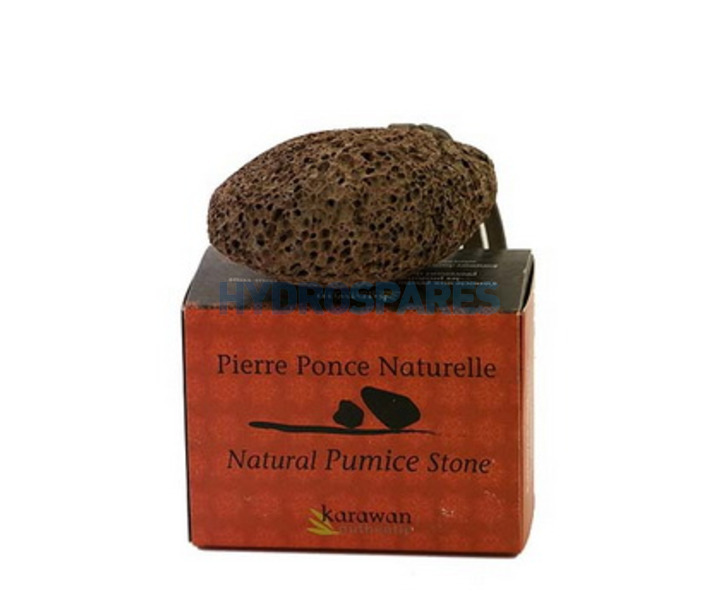 Natural volcanic pumice stone in a presentation box. To make it easier to grasp, it has been gently rounded, and has a handy cord made from recycled tyres. 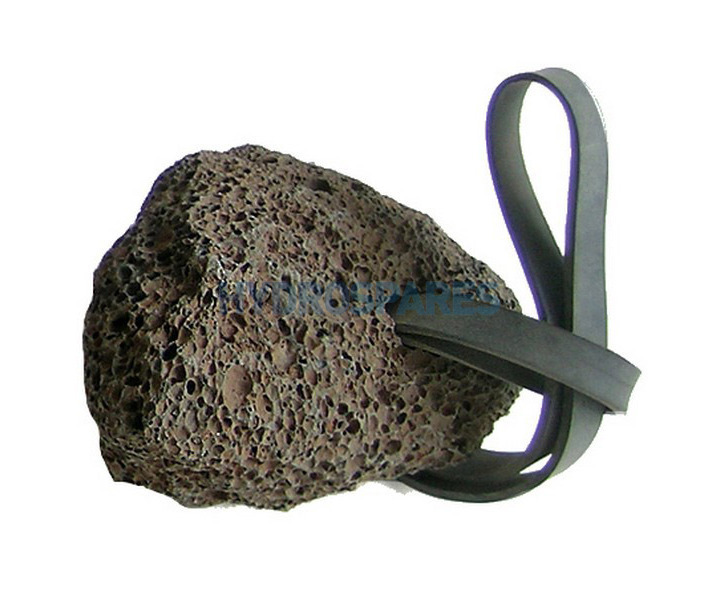 Use the stone to gently rub away hard skin from the feet, best to use in the bath on moistened and softened skin. This will eliminate hard skin on the feet and dead skin cells on the body. Restoring the skin's softness. Our cosmetic products are entirely natural. They contain no chemical products, no synthetic fragrances, and are not tested on animals. We are members of the ONE VOICE association, that fights against animal testing. Our creation design research is oriented toward recycled materials with an aesthetic or functional interest. The issue is to offer new services and uses by creating new generations of objects for the western house, that reinforce the economic sector of recycling. Karawan products contain a quality and durability requirement. They bear an timeless beauty that matches the contemporary trends, without giving in to fashion's fickleness. Our packaging choices are oriented toward lightness and recycling of the materials, giving up any overload. Karawan values this inheritance through a reinterpretation of the shapes and uses that combine eco design and fair trade. We establish partnership relations with the producers and craftsmen bearing traditions that respect humankind and the environment. Our products are exclusive creations, combining today's innovation and conception design standards with materials, knowledge and techniques from local areas.